Germany's trade figures continue to surprise to the upside. 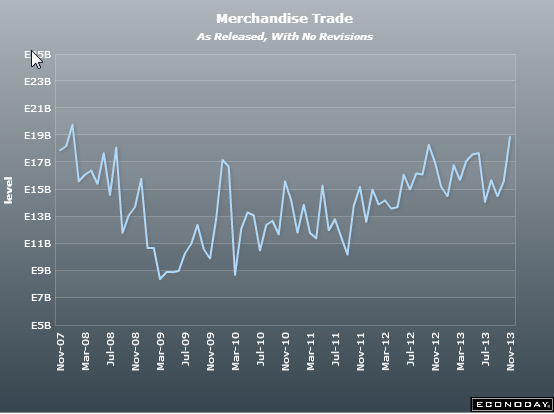 The latest merchandise trade number came in at €18.9bn, while economists were expecting €15.5bn (according to Econoday). The question of course is how does Germany do this given that it is competing directly with Japan in global markets. And Japan has had one key advantage - a weakening currency, which makes its product cheaper. 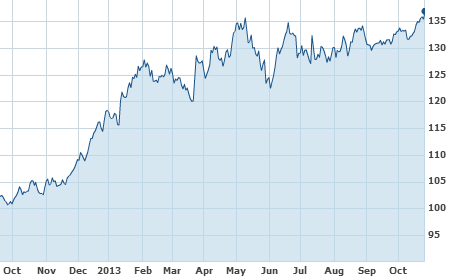 The chart below shows the value of the euro in terms of yen (EUR/JPY), with the euro now at recent high against the yen. Is there a different product mix between Germany and Japan? Certainly. 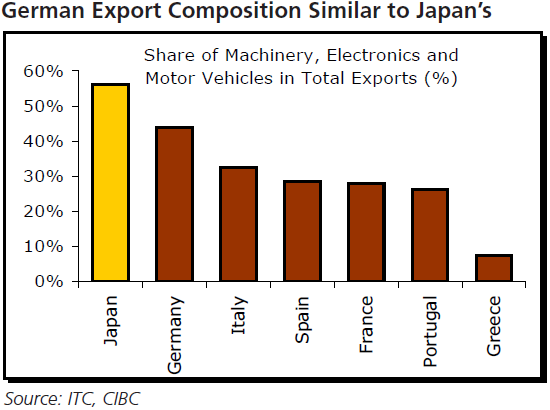 But according to CIBC the product overlap with Japan is the highest for Germany vs. other Eurozone nations. Machinery, electronics and cars represent a substantial component of both nations' exports. So how does Germany compete so successfully in spite of this currency disadvantage? The answer seems to be that Germany can compete on brand strength even at higher prices. CIBC: - The [euro] strength against the yen will persist, a challenge largely for German exporters as they compete closely in areas such as autos and electronics. However, with many consumers prepared to pay a premium for German engineering, its exports are often less sensitive to price changes. 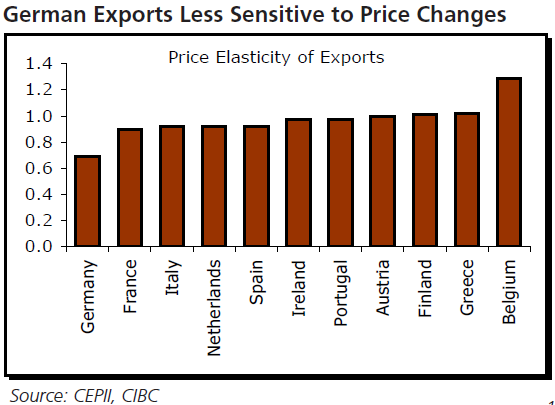 Indeed when compared with its Eurozone peers, German exporters boast the least price-sensitive merchandise. For example, a 10-20% higher price on a high-end German car is less likely to motivate someone to switch to a Japanese car - particularly in markets like China. Going forward, German firms will be getting some tailwinds from Mario Draghi's accommodative monetary policy. 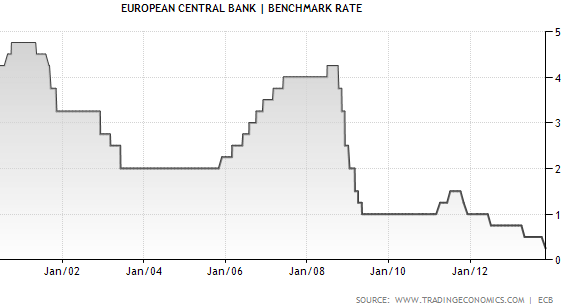 The ECB overnight rate is now at record low. At least in theory that should limit the euro's appreciation and provide some price stability for German exporters.